"This book would suit any level of knowledge from the most experienced pathologist to the teenager just beginning his training in turfgrass management…truly a well-written, well-illustrated and very up-to-date book…very much the diagnosticians bible…if you can only afford one plant disease book, this is the one…"
The Compendium of Turfgrass Diseases, Third Edition is devoted entirely to the diagnosis and control of approximately 80 diseases affecting grasses maintained for fine turfs on residential and commercial lawns, sod farms, golf courses, sports fields, bowling greens, cemeteries, and other areas. Since it was first published in 1983, more than 45,000 copies of the Compendium of Turfgrass Diseases have been distributed all across the world. With information provided and reviewed by more than 40 plant pathologists and turf specialists, this book will help you identify problems quickly and accurately before they become unmanageable and costly to control. When a disease symptom occurs, infected areas of the turfgrass can be matched to one of the illustrations in the book and the accompanying text will provide more about the symptoms, causes, cycles and control of the disease identified. The compendium is divided into four sections. The first section describes the characteristics of turfgrasses, while the second section discusses damage caused by noninfectious agents in the turfgrass ecosystem. The third section explores ecology and taxonomy of fungi pathogenic to turfgrasses. In the last section easy-to-understand diagnostic procedures are covered. References to technical literature and coverage of the most recent advances in turfgrass pathology will ensure access to the most current disease data and information available. The text is complemented by numerous illustrations of turfgrass diseases, photomicrographs of many pathogens, diagrams of disease cycles, a glossary of terms, and an index. In addition, dichotomous keys for selected grasses and pathogens will help you identify grasses and pathogens to species, as well as identifying turfgrass diseases by environmental parameters, symptoms, and signs. 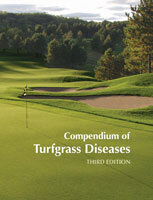 The Compendium of Turfgrass Diseases, Third Edition serves as a general and practical reference for all those involved in the culture of fine turf. 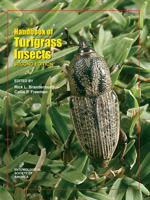 With detailed coverage of pathogen biology, it is an ideal teaching aid for integrated pest management, turfgrass pathology, and turfgrass management programs, including extension training programs and specialized short courses for practitioners on the art of turfgrass maintenance. In addition, it will continue to be a valuable resource for professional turfgrass managers, turfgrass management and disease consultants, golf course superintendents and their staffs, agribusiness research and sales representatives, officers in departments of agriculture and regulatory agencies, garden center personnel, state, university and county extension agents and advisory officers, technicians in plant disease diagnostic clinics, sod producers, athletic field managers, lawn care operators, and scientists..
What’s new in the EXPANDED Third Edition? 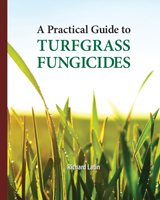 "The compendium will be very useful to all those involved in the management of turfgrass. It could also be helpful to teachers as it reports rather uncommon diseases that may not be covered by more general books on plant pathology." "...a library would not want to do without this latest addition."